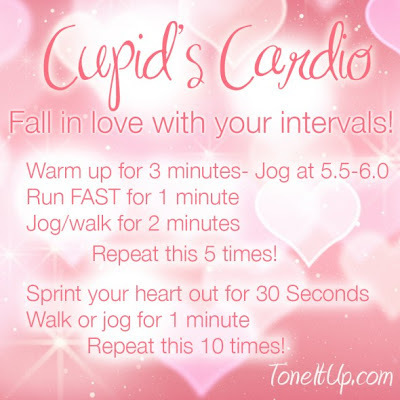 Just Keep Sweating: Friday Favorites- 1st of 2013! Friday Favorites- 1st of 2013! That's how a lot of us feel after every ball drop...err, you know what I mean. Who doesn't love a fresh start...a clean slate? Like many others I started my weight loss journey on January 1st, however 3 years later I am STILL on it. This year I will hit my goal, in the meantime I am enjoying the journey and everything I have learned will be coming along with me for the ride. 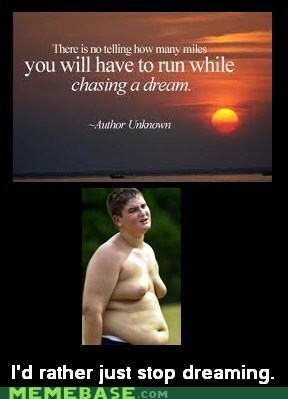 It's not a sprint, it's a marathon. Favorite Accessory: It appears Santa sister reads this lil blog of mine because I received the Kate Spade bow earrings I wanted on Christmas morning! 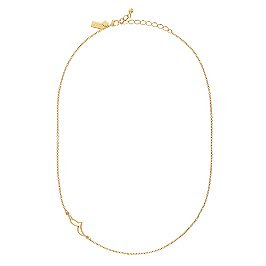 I often find myself heading over to katespade.com looking for bridesmaids gifts, I have 10 girls to buy for but I think her jewlery would be a nice little something for all of my girls. This songbird necklace however is something I want for myself. It kind of looks like a seagull to me which is A-OK by me seeing as I live right near the beach and they are my moms favorite animals. Yes the animal that everyone despises just so happens to be my mothers favorite. I think we have all felt this way one time or another. Everyone in my life is obsessed with this show, for awhile I couldn't be around my family without them talking about it. Eddie and I finally caved on new years day and started season 1. We both know we want grey in our room but this combo of pink and grey makes it seem less manly, more neutral. I love the ruffle bedspread but would skip the chandelier. How great of an idea is this?? It kind of gives your bathroom a spa feel and keeps guests from looking through your cabinets for a towel. Favorite Sweat: Karena and Katrina from Tone It Up have launched a LOVE YOUR BODY Challenge from 1.1.13-2.14.13. Everyday they are emailing new workouts for us to do--it's 100% FREE! Not only is this pink and adorable to look it...it makes you SWEAT! You'll want to save this one for a day when you aren't sure what to do on the old dreadmill. 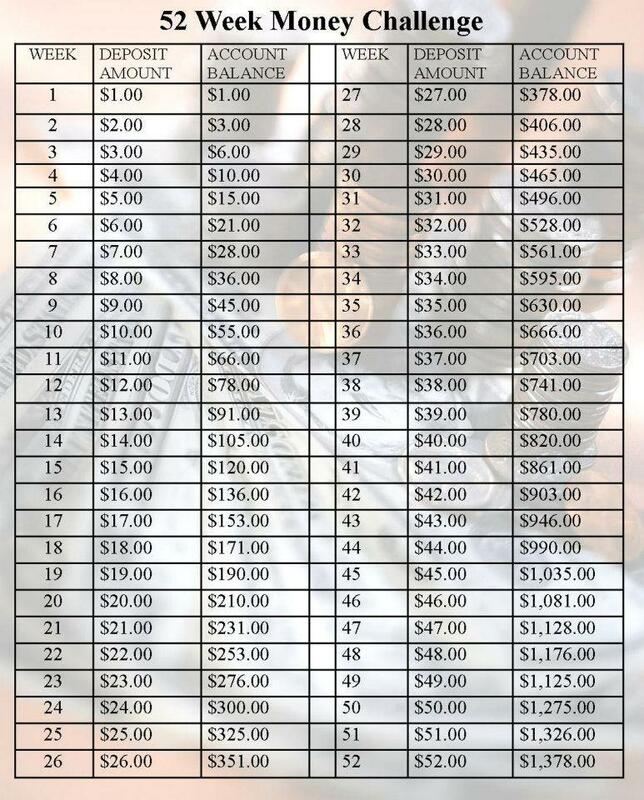 This is a money saving idea ALL of us can do. 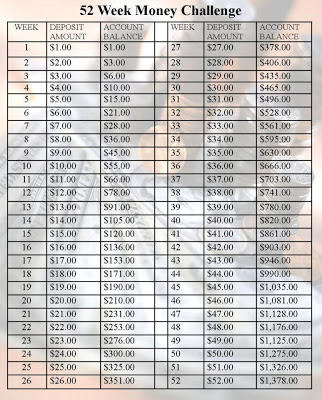 After 52 weeks you will have $1,378 saved or if you're doing it with a partner/spouse like I am $2,756. I think it's the perfect way to save for a vacation or "fun money". 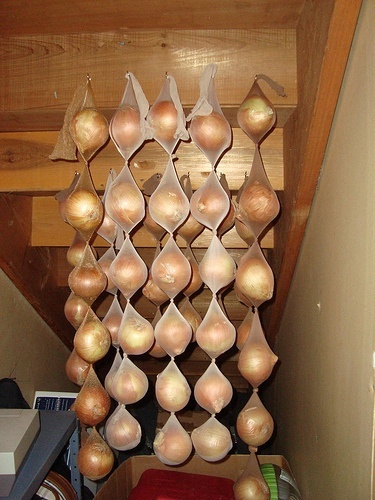 That storing onions in pantyhose will keep them fresh for 8 months?? Favorite "Cheat" Recipe: GIMME SMORE! Sandwich mini marshmallows and small pieces of choclate in between two pretzels. Bake then cover in melted chocolate. 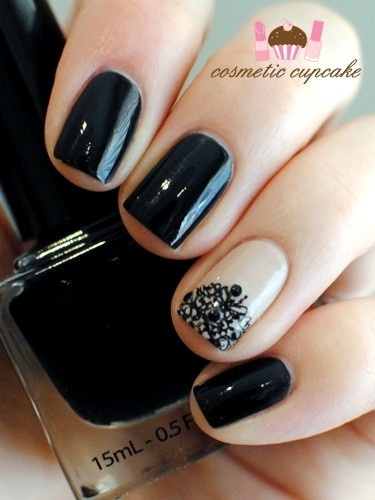 I would just switch the design with some black glitter to make this look easily achievable. Favorite Dip: Award season is upon us, which means Mom and I will be spending several Sunday nights watching the Red Carpet while eating appetizers. 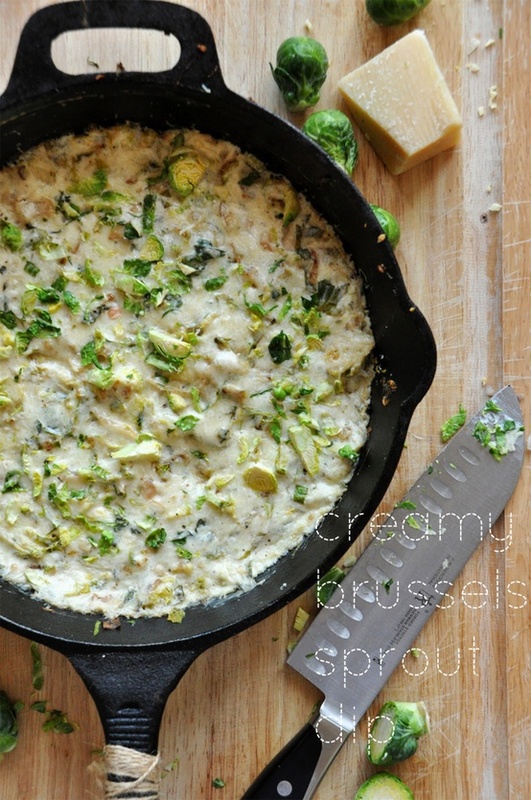 I actually want to make this tonight but have no reason to... sigh. 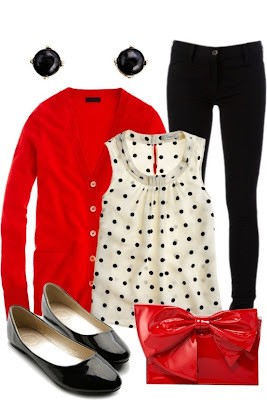 Favorite Outfit: What's black, white and red all over? All of us "gym rats/regulars" can spot a resolutioner when we see one. 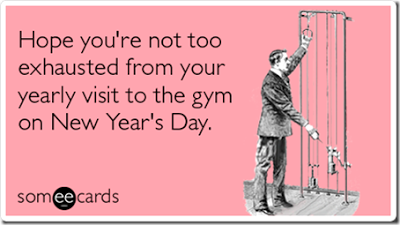 Last night kickboxing was FULL of them, and they all seemed to be in the front of the room....how much longer until people start bailing on their "get fit in 2013" routines? I've never seen that wine rack idea! And love that savings plan! Right? Two awesome ideas in one post!! I love that songbird necklace. Hmmm, might have to be a belated Christmas present to myself! 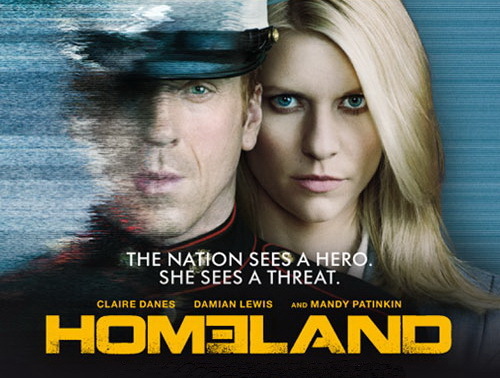 Everyone keeps talking about Homeland too. I wish I had cable! Gah, everyone including my boss is talking about Homeland, gotta move on to episode 2 and finish the whole series haha. Love that valentine's day outfit. Super classy and chic! DO ITTTTTTTTTTTTTTTT YOU'RE GONNA FLIP!! You always pick the best stuff! :) Happy New Year! I decided to play along with Friday Favorites and gave you a little link love. Such a great concept! Lots of awesome ideas in this post! That's a great savings plan, I'm going to have to try that one. I'm also long overdue for a manicure, love the one you posted! I started the 52 week money challenge with my first transfer today! It's an awesome idea. Taking Chances- My New Career! 12 Degrees Won't Stop Me From Sweating!